Well, I didn’t come up with this. My partner teacher at my new school (That I LOVE by the way) uses this method to organize student work. It seems to save a lot of time. I will do the following tweaks for my own classroom. 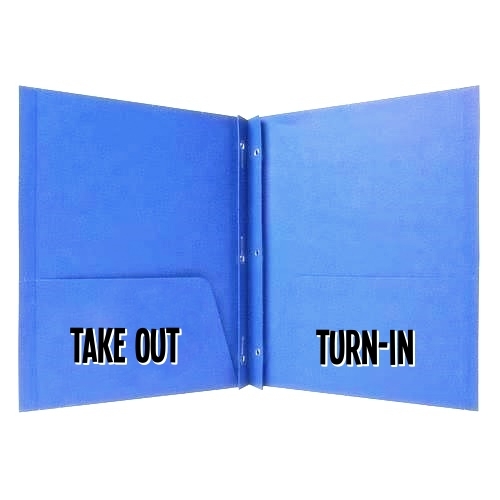 Each table gets its own folder. Each class period gets its own color. 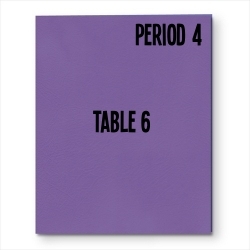 Students turn in their work to the right side of the folder. I grade the assignments and place them in the left side, where students collect them. Absent students retrieve worksheets and handouts from left pocket. A team mate writes the absent students name on assignments. I start using these on Monday. We’ll see how it goes.